I pinned these paper peonies last week and I still can't get over how amazing they are. They are designed to be pinata's but I think they are too beautiful to smash up. They would be amazing at a wedding, summer party or even as part of bedroom decor, I just think they are so clever. P.S - I'm the guest pinner for Elena's, Live Create Inspire board this month, come and take a look for all sorts of Pinterest goodness. 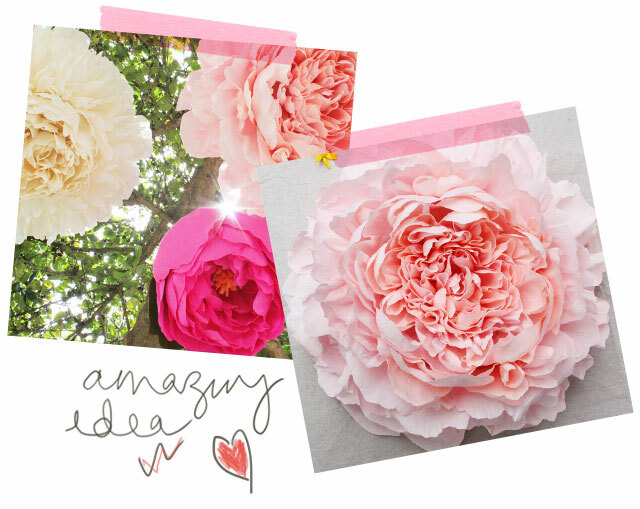 We must have a giant peony making party!